Summary: The fear of losing control over thoughts and actions can impact OCD behaviors and other anxiety disorders, researchers report. Did you lock the front door? Did you double-check? Are you sure?. If this sounds familiar, perhaps you can relate to people with obsessive-compulsive disorder (OCD). Help may be on the way. New Concordia research sheds light on how the fear of losing control over thoughts and actions impacts OCD-related behaviour, including checking. Although more traditional types of fear — think snakes, spiders, dogs, etc. — have been well investigated, this is one of the few studies to focus primarily on the fear of losing control. “We’ve shown that people who believe they’re going to lose control are significantly more likely to exhibit checking behaviour with greater frequency,” says Adam Radomsky, a psychology researcher in the Faculty of Arts and Science. Radomsky’s findings were published this October in the Journal of Obsessive-Compulsive and Related Disorders, co-authored with PhD student Jean-Philippe Gagné. It’s the first in a series of related projects Radomsky is undertaking, funded by the Social Sciences and Humanities Research Council. “The 133 undergraduate students who participated were given bogus EEGs. They were randomly assigned false feedback that they were either at low or high risk of losing control over their thoughts and actions,” explains Radomsky, Concordia University Research Chair in Anxiety and Related Disorders. Next, participants were given a computerized task — trying to control the flow of images on a screen by using a sequence of key commands. At any time, they could push the space bar to check or confirm the key sequence. Those who were led to believe that their risk of losing control was higher engaged in far more checking than those who were led to believe that the risk was low. Surprisingly, the students who participated in the study did not self-identify as having OCD. “If you can show that by leading people to believe they might be at risk of losing control, symptoms start to show themselves, then it can tell us something about what might be behind those symptoms in people who do struggle with the problem,” Radomsky says. Adam Radomsky: “People who believe they’re going to lose control are significantly more likely to exhibit checking behaviour.” NeuroscienceNews.com image is adapted from the Concordia University news release. The findings were consistent with what he and Gagné expected. “We hypothesize that people’s fears and beliefs about losing control may put them at risk for a range of problems, including panic disorder, social phobia, OCD, post-traumatic stress disorder, generalized anxiety disorder and others,” Radomsky adds. Image Source: NeuroscienceNews.com image is adapted from the Concordia University news release. Concordia University “The Fear of Losing Control and its Role in Anxiety Disorders.” NeuroscienceNews. NeuroscienceNews, 13 December 2017. 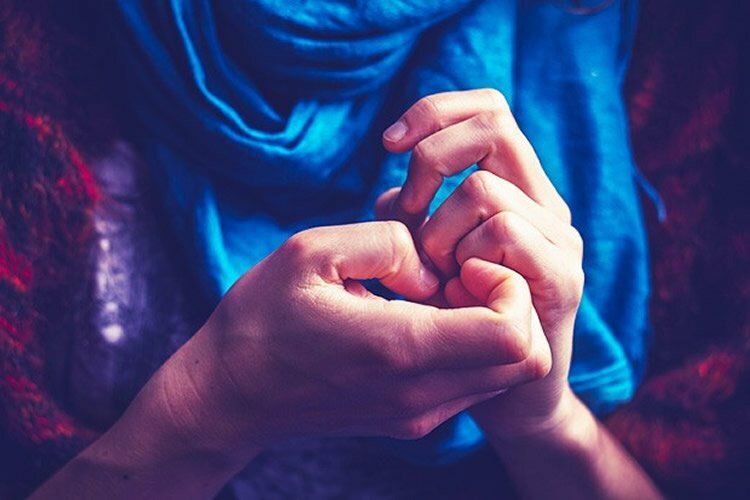 Concordia University “The Fear of Losing Control and its Role in Anxiety Disorders.” http://neurosciencenews.com/control-anxiety-8187/ (accessed December 13, 2017). Cognitive theories of obsessive-compulsive disorder (OCD) posit that maladaptive beliefs lead to the development of symptoms. However, psychometric studies have provided mixed evidence regarding whether beliefs about control over thoughts predict OCD symptoms above and beyond other obsessive beliefs. Clinical reports have documented concerns among those diagnosed with OCD regarding a potential loss of control over their thoughts and behaviour, indicating that broadening the scope of beliefs about control by integrating aspects of losing control may better explain their role in OCD. In this study, 133 undergraduate participants underwent a bogus EEG session and received (positive or negative) false feedback about the possibility that they may lose control over their thoughts and behaviour, and completed a task asking them to control the pace of pictures. As hypothesized, participants in the high (versus low) beliefs about losing control condition checked significantly more often which keys they should use to control the pictures, t(106.95) = 2.28, p = .02, d = .44, demonstrating that manipulating beliefs about control can impact checking behaviour when a potential loss of control is emphasized. Also, checking behaviour predicted a lower desire for control, such that compulsions may be seen as opportunities to re-establish disrupted control cognitions.